Here’s a few ideas to get your project started. We love seeing what our friends and neighbors are doing with their home projects. It’s amazing how creative our customers are and how beautiful these turned out. We’ve collected a few here to share with you. Maybe they’ll help spark some ideas for your next project. See what local customers are doing every day with the interiors of their beautiful homes. View the gallery. A fresh coat of paint can make a huge difference in the appearance of your home. See more. We have products for any type of construction or renovation project. Take a look. We do in-store color therapy or we can take a trip to your home or job site to lend a helping hand. Find the right product for your next project. 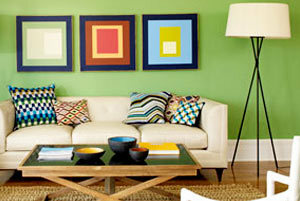 We offer the complete line of Benjamin Moore paints from interior to exterior and specialty paints of all types. The best choices for exterior and interior stains are here, like ArborCoat, Sikkens and Cabot.